The numbers for the resistance of a human body vary a lot, but it seems that with proper contact (such as being stabbed) resistance of a human (between two far points of a body) is between 1k and 100k ohms. According to this site (which must be legit since it's http:), the amount of current to kill someone is ~0.2 A. If you go with the lower resistance of a human, it would take a voltage difference of just 200 V to kill someone. This site about the electric chair says that 2000 V (and 15 seconds) were used to electrify people. . Unless these rabbits have power electronics, their swords would probably be DC, which decreases weapon effectiveness. Making contact with the 2 sides of the opponents armor would make their armor heat up rapidly. The place where the sword makes contact would be spark points, and extremely hot if the rabbit heros have high voltage DC swords. 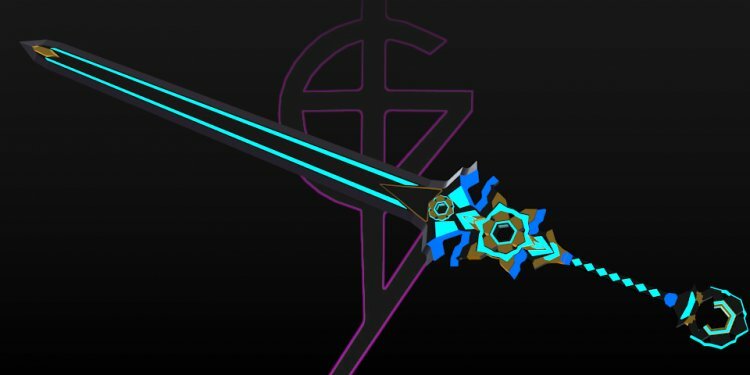 Furthermore, the actual power supplied to the swords can be on a back pack, so the swords can be very light; the main damage being caused by the electricity. Series connections: All it takes is having enough batteries / capacitors in series to get a large DC voltage. As the power needed isn't actually much (just ~40 W on the 1k 0.2 A model), this is well within reason. A simple mechanical switch that oscillates back and forth would generate an AC square waveform, which could disrupt heart and brain signals. Enimies would learn to fear the clicking sound of death caused by the switches!